I hope everyone is having a decent start to the week, I can’t believe it is April already, where does the time go? 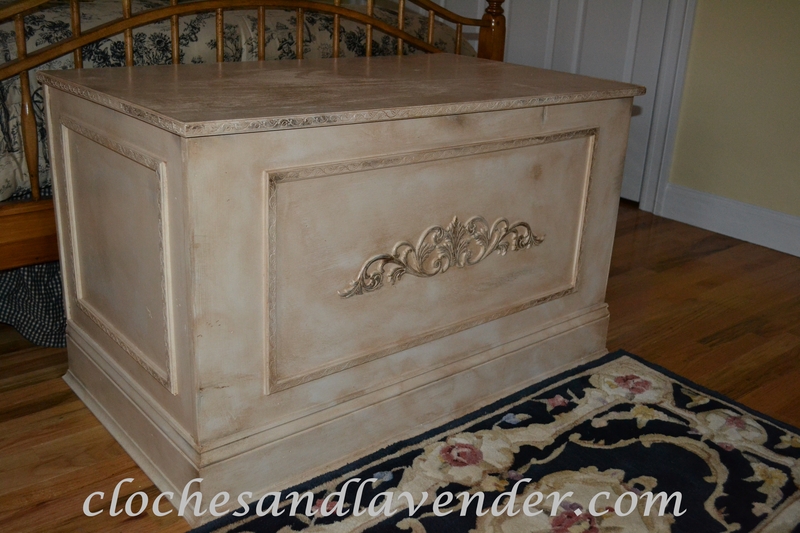 This chest is at the foot of the bed in our guest room. John and I designed and built it together from scratch. It was one of our earlier projects. 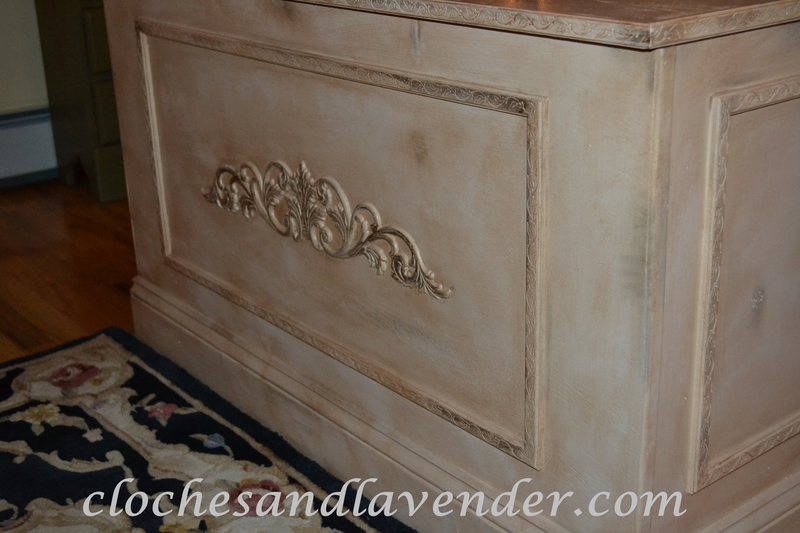 We used ¾ inch birch plywood to build this and we just embellished it as we went along. We also added moldings to the sides and bottom and added an applique to the center (you know how I love my appliques and use them a lot) LOL. 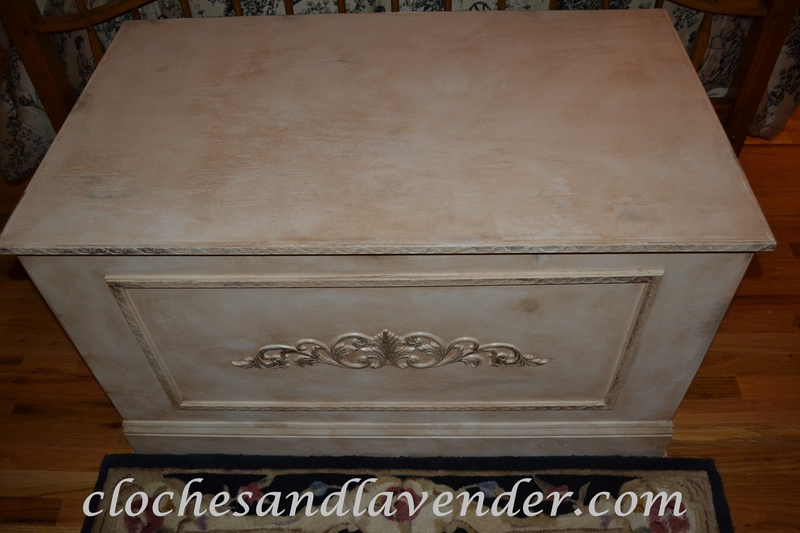 After the construction of the chest, I sanded it really well and followed that with a coat of primer and ivory paint. 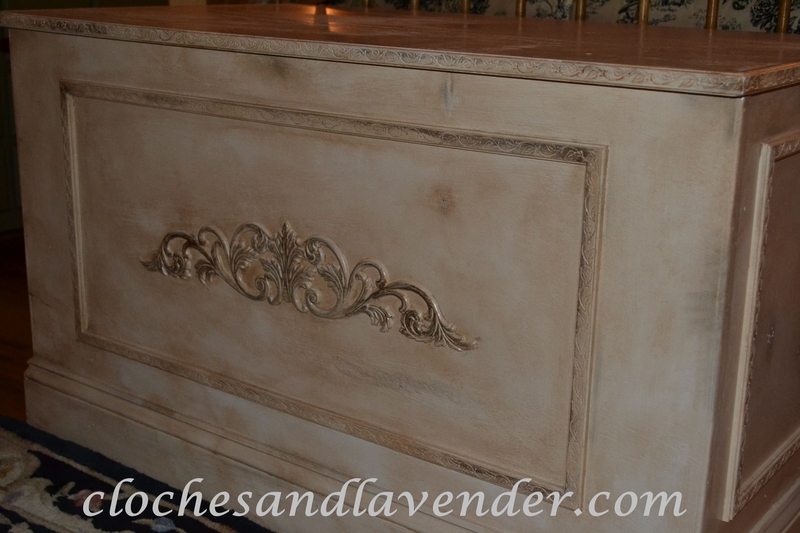 I began to faux the chest using a metallic based glaze and a very small amount of raw umber glaze. I just love the effect the fauxing had on this piece; it adds such dimension and some elegance. Such a nice piece! I can’t believe you made it from scratch! You are SO ambitious! What a beautiful piece of furniture. I love everything about it! The fact you and hubby made it from scratch simply makes it that more special. Love all the detail! Thank you very much it is special since we did it together. We make a good team. Thanks it was a lot of fun you are always so kind. How awesome is that! You are good girl. Love it, and so useful too. Thanks for sharing with the newbie party. What a beautiful trunk! Made all the more special because you made it yourselves. I found you through Debbiedoo’s Newbie Party. I’m looking forward to following your blog and enjoying more of your creative projects!